MY BOOK COMES OUT TODAY!!! Today is a day I have dreamed about for more than 3 years. 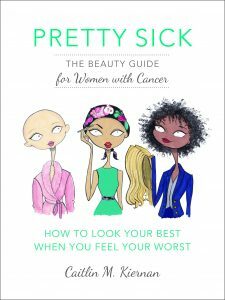 It is the day my first book, Pretty Sick: The Beauty Guide for Women with Cancer, hits shelves!!!! I can’t tell you how surreal, scary and exciting it is. I decided to write Pretty Sick back in 2012 after I was diagnosed with breast cancer. At that time, I was a magazine beauty director and continued working during treatment. 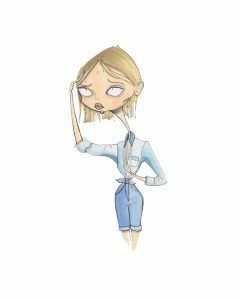 It was important for me to try and look like a version of my ‘normal’ self so that I could keep things relatively routine at the office and when I was interviewing people. To me, there was nothing worse then when people would ask me, in a hushed tone, “Are you okay?” While I appreciated the concern, it was such an awkward question to deal with. The reality was, I wasn’t okay. I was fighting for my life and I really didn’t want to discuss it casually with colleagues and sources. I was barely processing the situation by myself. So, I’m sure you can understand why I wanted to do whatever I could to maintain my appearance, my sense of self, during that terrible, trying, time. 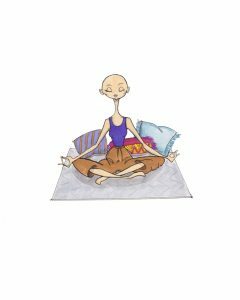 Knowing how to care for my body during cancer treatment helped me maintain a sense of normalcy and control that the disease stole from me. I had hives all over my body from the chemo. My nails were peeling and ripping like crazy. I had mouth sores that made it hard to eat and talk (some might argue not enough). All these things made it tough to stay positive, focused and engaged in my life. It was only when I turned to my Rolodex of beauty experts and sources for help that things started to turn around for me. Problem is, most of the advice I was receiving wasn’t really out there. When I was having surgery and going through treatment, I did a ton of research and often came up empty-handed. There wasn’t one place I could go to get the Intel I needed to learn how to care for my nails, skin, mouth, hair – even my vajajay – during cancer. And let’s be honest, the web can be a scary place with a lot of inaccurate information. Who needs that when you are dealing with a real health crisis??? That’s when I decided to take all the advice that really helped me and make it into a book. I’ve heard that writing a book is hard. For me, that was the easy part. I love interviewing people. I love hearing other people’s stories and experiences. This life thing is, after all, an interesting journey for all of us. 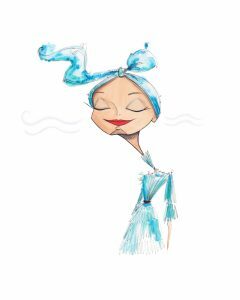 I also loved working with my illustrator, Jamie Lee Reardin. Long before I was diagnosed, I had seen her work and instantly fell in love. One day, I emailed her saying that if I ever wrote a book, she needed to illustrate it. Years later, when I had started writing Pretty Sick, I emailed her again and she instantly agreed to be my artist. I knew her colorful, stylish and sometime quirky artwork would be a source of happiness and levity. I mean, just look at these illos from the book! I’ve looked at them a million times and I’m still obsessed. The tough part of creating a book is putting it out there. It’s like sending your child to their first day of preschool or off to college. It’s frightening because you are sending them out into the world alone but it’s also exhilarating because you can’t wait to see what they do, how they succeed and who they help. Today, I am a nervous parent. I do know that a beauty guide for cancer patients will raise some eyebrows. I know people will say, “You should be focused on your health, not your damn eyeliner or face cream!” To those skeptics, I say this: Live through cancer, then tell me that a woman doesn’t deserve to look her best when she feels her worst. Just because we are sick, we have to look sick too? I don’t think so! We are still living after all! I said this in the book and I will say it again here: Beauty treatments are an adjunct therapy to cancer treatments because when you look good, you feel better. In many ways, Pretty Sick is a resource that is less about looking pretty and more about being empowered. So, as my baby goes out into the world, I want to take a moment to thank all the experts and fellow survivors who believed in this project and gave up their time to help me make this dream a reality. And to my fellow Pink Sisters, I hope Pretty Sick provides you with advice and encouragement that helps make this difficult time transformative and positive. This book was all for you! Pretty Sick is officially out and you can score a book for yourself – or for a friend who needs it – by clicking any of the links below!